Luxury log cabin homes – what makes a log cabin really good quality? 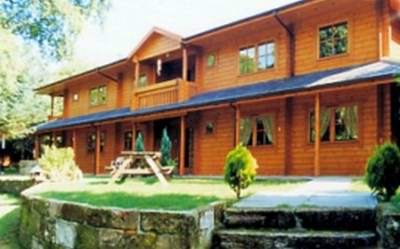 Luxury log cabin homes should offer the ultimate log cabin experience! Quality always comes at a price, but real quality still can mean excellent value, especially over the long term. Real inherent quality in the timber, design and construction of your log cabin, can mean the difference between something which will last a life time and something which has a design life of 10 years. Luxury log cabin homes also should offer superior insulation, high end windows and doors, nice detailing, large roof overhangs and other features which stand out from a cheap log cabin. This will not only enhance your log cabin experience, but will likely reduce your running costs as well! Some of the best luxury log cabins, are so well insulated and have such great windows and doors, that even in a howling gale, you barely notice the increase in noise. So what areas of luxury log cabin homes should you be focusing on? Well, we will go over the main areas and then from there, you can go through to further pages which really drill down into detail these aspects. No log cabin can really be counted as a true luxury log cabin, unless the logs themselves are high quality. So no matter how nice the style is and what other goodies are offered, never ever compromise on the quality of the logs! 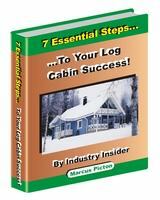 The logs are central to the strength, durability and integrity of your whole cabin. When you look at a shiny new log cabin this may not be the first thing you think about, but make it a priority. Think about and if possible view a log cabin which is several years old and see how it looks then. This is the real acid test and what the timber is, how old it is and how the logs are made are all keys elements of the log. Make sure you find out more in our detailed section on log types. Don’t underestimate the importance of quality windows and doors in your luxury log cabin. The form a large part of the external walls and therefore can significantly effect your overall efficiency. You also want units which are going to last and stand the day to day usage they will have. The quality of the glazing and strength of the overall units can vary a lot. You also want units with high security to put off any one who might think about breaking in. The mechanisms types and the quality of these will need looking at too. Different countries have their own way of doing window mechanisms in particular. They are often very good reasons for this but if they come from a different country, make sure you understand how they work. Discover all about these aspects in our window and door section. There is not getting away from it, that when it comes to timber size does matter! All other things being equal (i.e. species, age, where it was grown etc), a thicker timber board will always be stronger and more resistant to warping and cracking, than a thin one. In luxury log cabin homes, it is likely you will have an insulation wall on all your external walls. Normally this will be clad in a log profile board, which exactly matches your log. These along with timber boards on your ceiling and wood flooring (if you have it), will form a large part of the living environment you will see inside your cabin. Good quality and decent thickness timber will mean they will still look great in many years time. The same applies for all the window and door trim. Really good luxury log cabin homes are designed from the start to not only look great, but also last! These 2 things actually very much go hand in hand, as the extra protection afforded by really good design also enhances the external appearance. This will mean the use of extra materials, which of course will increase the cost, but if your building will now last much longer, this is money well spent. 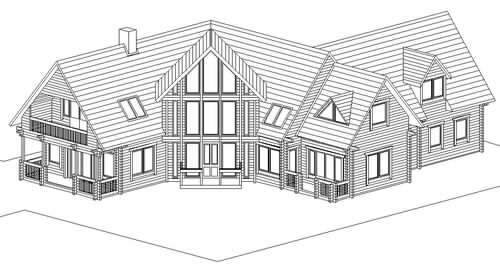 We will reveal what specific design aspects are crucial to your log cabin and you must make sure you know what to look out for! Insulation requirements in many countries are being increased all the time, in the drive for thermal efficiency. 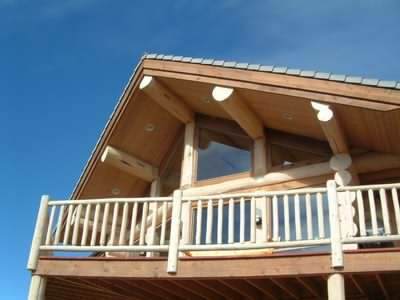 However in a top quality log cabin it is easily possible to greatly exceed the minimum requirements. Log cabin constructed from thick logs with a good insulation wall can have really low U-values. There are many different types of insulation out there today and costs will also vary considerably. As insulation will affect your running cost over the lifetime of the cabin, money spent on good insulation in the beginning, can save you a lot over the years. Take a look at insulation in log cabins in more detail. Most but not all luxury log cabins are on the large side. Having a big log cabin, does allow you to really create something magical and unique. A big log cabin does create some real considerations though, especially if you are looking to have a more complex design. It pays to research early into these aspects, so things go smoothly from day one. If you are thinking of building a large structure, I would recommend you read our page on big log cabin ideas and considerations.